The aim of Africa Wild Truck’s travel philosophy is to best minimize the potential negative impacts coming from tourism that include social, economic and environmental damages. We are also aware that tourism has however a great ability to bring benefits in distant areas like economic growth, support to the development and commitment to territory preservation. Travelling responsibly means following a specific travel philosophy we want it may be useful for keeping the beauties and cultures of this wonderful continent for next generations. is integrate in the local ecosystem. Among our destinations there are areas where we know the tourist is well received by local communities. We think that the contact with local people and cultures is one of the essential aspects of a travel. Comprehension, tolerance and mutual respect between different cultures often mean also simple rules to follow that will be exposed to the traveler before as well as during the travel. We encourage the traveler to have an open attitude and learn customs and traditions, as well as basic words in local language. We live here and we give local people a job so that travelers, once more, may have the possibility to interact with African people and so that money is directed to the population. 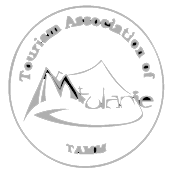 We are supporting associates and members of associations like AITR, Italian Association for Responsible Tourism and TIES, International Ecotourism Society. We live here so we have the possibility to monitoring the political and social situation of our destinations, communicating, if possible, all relevant information to travelers before leaving. We lean on suppliers, products and services representing the option that is the most ethical available, even when it means paying a price reasonably higher compared to other options on the market. We use accommodations which are chosen carefully, following an idea of conservation of the territory and sustainability of the travel, preferring positions in close contact with nature. Where possible we lean on small accommodations managed by local people that live on the territory, like us. We don’t lean on facilities or suppliers where we know there is exploitation of labor. Where possible we stock up in the markets, buying fruit and vegetables directly from small producers, thereby supporting small economies. We encourage travelers to buy local artifacts that do not harm the environment and that do not support illegal trafficking. We use the Internet and e-mails as main means of communication; this minimizes the waste associated with the use of printed paper. We use, where possible, recycled paper for all our printed releases. We support and donate part of our takings to organizations like AROUND AWT and other associations also through the programming of the travels/expeditions. We are members of the TIES, International Ecotourism Society and ofAITR, Italian Association for Responsible Tourism. We minimize the waste like electric energy and water using the truck’s batteries to recharge the electric material and managing the reserves of water in an accurate way. We recycle: nothing is thrown away in Africa! Where possible we deliver part of what we think is no longer useful, to those who need it. Besides we follow, where possible, this simple rule: what in Africa is harmful for the environment and cannot be recycled must be taken back home! Used batteries are a simple example. We use small facilities that minimize negative impacts on the environment. We lean, where possible, on facilities built with local materials, as well as facilities that use renewable sources of energy like solar panels. Inform on your travel destination before leaving. Read books and consult tourism guides to collect information on culture, politics, geography, religion and traditions of the places you are going to visit. Learn a few basic words you’ll need to communicate; sometimes a few words can make you get on touch more with the local culture. Inform on how to behave to respect customs and beliefs. Dress in a respectful way. It’s really easy to cause embarrassment or offend with an inappropriate clothing. Buy local objects and use local services; this increases the local economy. But be careful what you buy: do not feed illegal trafficking or types of trade that are harmful to nature. Pay a fair price for what you buy. Negotiating is always part of the local life; small sums of money mean big sums for a local family. Ask permission before taking photographs and if you promise someone to send a photo, or a gift, please, keep your promise. Avoid showing wealth and opulence especially in poor communities, where you are a guest. Help local communities supporting development projects, rather than giving huge tips to individuals. Together we can develop new ideas. Take a look at the projects we support like AROUND AWT. If you want to leave something, as for example giving material to a local school, or cloths to whom needs them, try to give them to an influential person. In this way the material will be divided as fairly as possible. Do not give money or medicines to individuals: we know projects to which we can give this type of material. Never feed wild animals, especially within the parks: wild animals have not to depend on man for their subsistence. Respect the environment: avoid leaving garbage around and if you smoke, please, do not leave your cigarette butts. Once home think how you can help the development programs to help the country you’ve had the privilege to visit. Choose a Tour Operator that follows a travel philosophy that supports eco-tourism. We support some social maintenance projects, through scientific popularization, writing guides and articles, photography, donations, our projects of AROUND AWT, visiting distant areas and so bringing economic development; if you know topics, groups, projects we don’t know share them with us: we can support them and ensure that many people may be involved.